From master story teller, Guillermo del Toro, comes THE SHAPE OF WATER - an other-worldly fairy tale, set against the backdrop of Cold War era America circa 1963. In the hidden high-security government laboratory where she works, lonely Elisa (Sally Hawkins) is trapped in a life of silence and isolation. 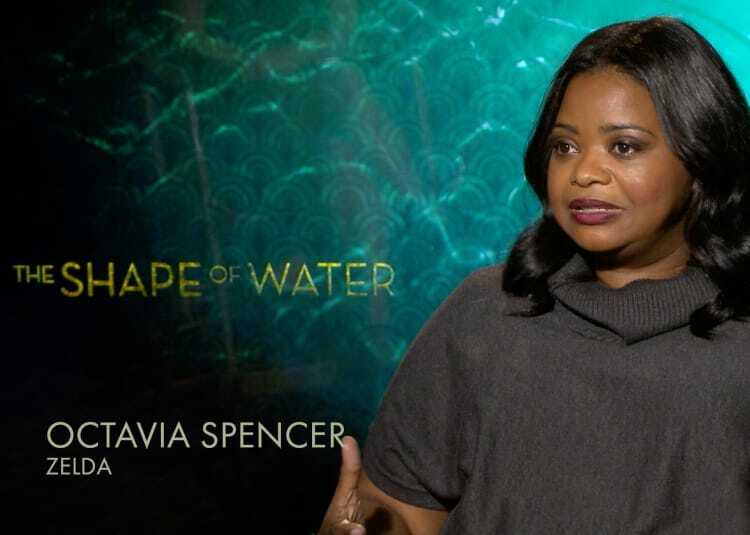 Elisa's life is changed forever when she and co-worker Zelda (Octavia Spencer) discover a secret classified experiment. Rounding out the cast are Michael Shannon, Richard Jenkins, Michael Stuhlbarg and Doug Jones. THE SHAPE OF WATER is a moving story with a message of acceptance: “Love is love,” and there is a monster inside all of us. The cast share how del Toro makes the unlovely beautiful in this clip. Whether you love historical dramas, fantasy films or fairy tales, THE SHAPE OF WATER will capture your heart and attention. 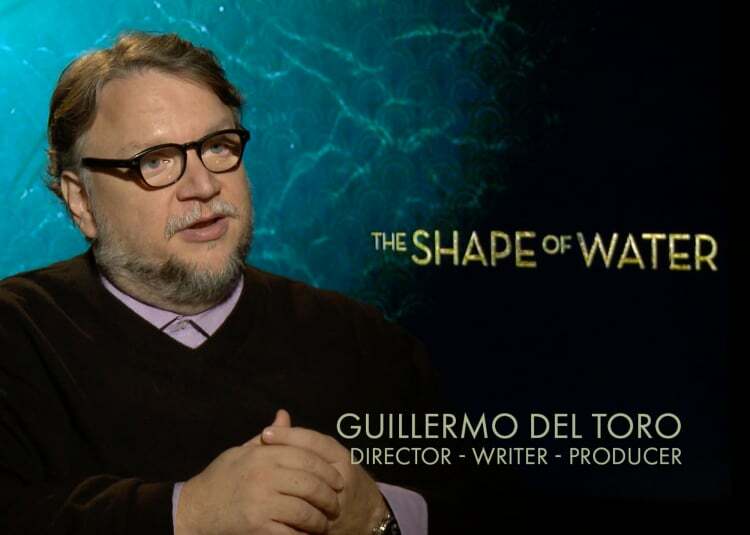 Hear from the cast and writer-director-producer Guillermo del Toro. Michael Corbett Shannon was born and raised in Lexington, Kentucky, the son of Geraldine Hine, a lawyer, and Donald Sutherlin Shannon, an accounting professor at DePaul University. His grandfather was entomologist Raymond Corbett Shannon. Shannon began his professional stage career in Chicago. His first acting role was in "Winterset" at the Illinois Theatre Center. Over the next several years, he continued working on the stage with such companies as Steppenwolf, The Next Lab and the Red Orchid Theatre. He subsequently relocated to London for a year, and performed on stage in London's West End in such productions as "Woyzeck", "Killer Joe" and "Bug". While in Chicago, Shannon also kept busy in front of movie and television cameras, most notably in the big screen project Chicago Cab (1997), based on the long-running stage play "Hellcab". Kangaroo Jack (2003) marked the third Jerry Bruckheimer production in which Shannon has appeared. He also appeared in Bad Boys II (2003), directed by Michael Bay and starring Will Smith and Martin Lawrence, and in Grand Theft Parsons (2003), with Johnny Knoxville and Christina Applegate. In addition, Shannon appeared in Pearl Harbor (2001), also directed by Bay. His other film credits also include Curtis Hanson's 8 Mile (2002); Cameron Crowe's Vanilla Sky (2001) with Tom Cruise; Carl Franklin's High Crimes (2002) with Morgan Freeman; John Waters' Cecil B. DeMented (2000), and Joel Schumacher's war drama Tigerland (2000). Sally Cecilia Hawkins was born in 1976 in Lewisham hospital, London, England, to Jacqui and Colin Hawkins, authors and illustrators of children's books. She is of English and Irish descent. Hawkins was brought up in Greenwich, in southeast London. She attended James Allen's Girls' School in Dulwich. She graduated from the Royal Academy of Dramatic Art in 1998. Hawkins' theatre appearances include Much Ado About Nothing (2000), A Midsummer Night's Dream (2000), Misconceptions (2001), Country Music (2004), and David Hare's adaptation of Federico García Lorca's play The House of Bernarda Alba in 2005. Hawkins made her first notable screen performance as Samantha in the 2002 Mike Leigh film All or Nothing (2002). She also appeared as Slasher in the 2004 film Layer Cake (2004). She played the role of Zena Blake in the BBC adaptation of Sarah Waters' novel, Tipping the Velvet (2002) in 2002. Her first major television role came in 2005, when she played Susan Trinder in the BAFTA-nominated BBC drama Fingersmith (2005), an adaptation of Sarah Waters' novel of the same name, in which she co-starred with Imelda Staunton, as she had in Vera Drake (2004). Since then she has gone on to star in another BBC adaptation, Patrick Hamilton's Twenty Thousand Streets Under the Sky. Hawkins appeared in three episodes of the BBC comedy series Little Britain (2003), in addition to Ed Reardon's Week on BBC Radio 4. She has also contributed to the BBC Radio 4 series Concrete Cow. In 2006, Hawkins returned to the stage, appearing at the Royal Court Theatre in Jez Butterworth's The Winterling. In 2007, she played the lead in a new film of Jane Austen's Persuasion, and followed this with her critically acclaimed performance in Happy-Go-Lucky (2008). Questions and a minor controversy arose when Hawkins was not nominated for an Academy Award for her performance as Poppy. It was the first year since 2000-01 that the winner of the Golden Globe for Best Actress in a Motion Picture Musical or Comedy was not nominated for an Academy Award, and the first year since 1995-96 that no one from the category was nominated. During 2006 she also made uncredited appearances in Richard Ayoade's Man to Man with Dean Learner where she played various uncredited roles from Personal Assistant to Wife of Steve Pising in various deleted scenes included on the DVD. Hawkins' 2009-10 films included Desert Flower (2009), Never Let Me Go (2010), and Happy Ever Afters (2009). In November 2010, she appeared on Broadway as Vivie in Mrs. Warren's Profession. In 2011, Hawkins appeared in Submarine (2010) and had a supporting role in the film adaptation of Jane Eyre (2011). In 2017, Sally was highly critically acclaimed for her role as Elisa, a mute janitor, in director Guillermo del Toro fantasy drama The Shape of Water (2017). Spencer is a native of Montgomery, Alabama, which she claims is the proverbial buckle of the Bible belt. She's the sixth of seven siblings and holds a BS in Liberal Arts from Auburn University. A "closet" lover of acting, this practical Alabamian knew that she'd someday work in the film industry, but never dreamed it would be in front of the camera. In 1995, acclaimed director Joel Schumacher changed all that by giving her a small part opposite Sandra Bullock in the hit film A Time to Kill, and Spencer was on her way. In 1996, she teamed up with Bullock again in Bullock's directorial debut of Making Sandwiches, a short film that premiered at the 1997 Sundance Film Festival. Spencer made her stage debut in Los Angeles and originated the role of "LaSonia" (pronounced lasagna) in famed writer/director Del Shore's, The Trials and Tribulations of a Trailer Trash Housewife, starring opposite veteran actors Beth Grant, Dale Dickey and David Steen (2003). The play garnered Spencer and her fellow cast mates critical acclaim and a bevy of awards. Since then, Spencer has continued to see success as an actor in both film and television, working alongside Hollywood's elite. In February 2009, she was lauded by Los Angeles Times publication: The Envelope, for her brief but memorable performance in the Will Smith drama Seven Pounds. Michael Stewart Stuhlbarg was born in Long Beach, California. He attended UCLA, and then The Juilliard School in New York City, where he graduated with a Bachelor of Fine Arts. His other studies included time at the Vilnius Conservatory in Lithuania, the British American Drama Academy at Baliol and Keble Colleges at Oxford, and the National Youth Theatre of Great Britain in London, and at Northwestern University's National High School Institute "Cherub" Program . While at UCLA, he was awarded a scholarship to study with Marcel Marceau. During the 1990s and most of the 2000s, Stuhlbarg was primarily a theatrical actor, working on Broadway in such productions as Cabaret, Taking Sides, Saint Joan, The Government Inspector, and The Pillowman by Martin McDonagh, which earned him a Drama Desk Award for Outstanding Featured Actor in a Play, and his first nomination for a Tony Award. His numerous Off-Broadway credits include the title roles in Hamlet and Richard II with the New York Shakespeare Festival, and David Mamet's adaptation of The Voysey Inheritance, which earned him an OBIE. Stuhlbarg's first major film role was as Laurence Gopnik in Joel and Ethan Coen's A Serious Man, for which he received his first Golden Globe nomination. His first major television role came in HBO and Martin Scorsese's period drama series, Boardwalk Empire, in which he was cast as the organized crime figure Arnold Rothstein. Most recently, he appeared in the highly acclaimed FX series Fargo, and will be seen in 2018 in The Looming Tower on Hulu. Stuhlbarg has continued to appear regularly in a number of high-profile films in recent years, including: Arrival, Steve Jobs, Blue Jasmine, Hugo, Seven Psychopaths, Men In Black III, Trumbo, Lincoln, Miss Sloane, Doctor Strange, Miles Ahead, and Pawn Sacrifice to name a few. This season he is appearing in three films: Luca Guadinino and James Ivory's Call Me By Your Name, Guillermo del Toro's The Shape of Water, and Steven Spielberg's The Post. The youngest of four brothers, Doug Jones was born on May 24, 1960 in Indianapolis, Indiana, and grew up in the city's Northeastside. After attending Bishop Chatard High School, he headed off to Ball State University, where he graduated in 1982 with a Bachelor's degree in Telecommunications, with a minor in Theatre. He learned mime at school, joining a troupe and doing the whole white-face thing, and has also worked as a contortionist. After a hitch in theater in Indiana, he moved to Los Angeles in 1985, and has not been out of work since - he's acted in over 25 films, many television series (Including the award-winning Buffy the Vampire Slayer (1997), his episode 'Hush' garnered two Emmy nominations) and over 90 commercials and music videos with the likes of Madonna and Marilyn Manson. Although known mostly for his work under prosthetics, he has also performed as 'himself' in such highly-rated films as Adaptation. (2002) with Nicolas Cage and indie projects such as Phil Donlon's A Series of Small Things (2005). But it is his sensitive and elegant performance as 'Abe Sapien' in Hellboy (2004), which stormed to the top of the U.S. box office in the spring of 2004, that has brought him an even higher profile and much praise from audiences and critics alike. Doug is married and lives in California.